If you love samplers blocks, you'll love this quilt! 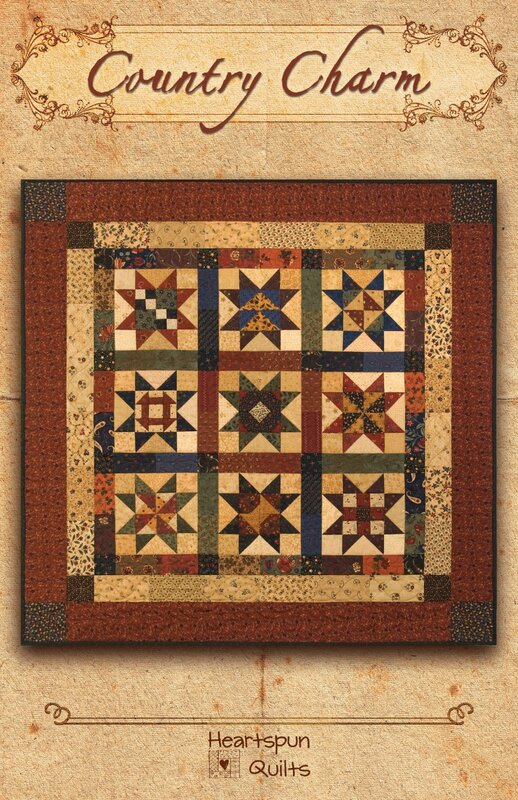 Country Charm is a fun quilt to make with fabric scraps or a charm pack! Each star block has a different sampler block inside, showcasing a variety of blocks and fabric combinations. Carefully placed colors in the sashing create even more interest as your eyes dance around the quilt. All blocks use modern rotary cutting and piecing techniques. The quilt measures 34" x 34".